make it perfect: .back again!. 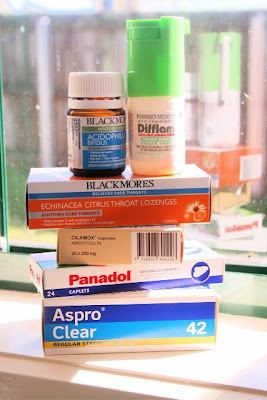 Fever, throat infection and oral thrush. Talk about hungry...I can finally eat buttered bread today if I spray Difflam into my mouth to numb it first!! I'm back now - the house was cleaned today. 5 loads of washing done. I'll catch up on emails and other stuff ASAP! Sorry if you thought I was snobbing you! Hope you are feeling a lot better Toni!! oh you poor thing Toni...nothing worse ...but it sure makes you appreciate your health when you get better doesnt it???? no wonder those poor little mites are so grizzly when they have thrush...hope Tommy doesnt get it now!!! You poor thing, sounds like things are on the mend, just a pity that it is all still their waiting for us when we are on the mend!